On July 20, 1973 Bruce Lee died at the age of 32, His fans wanted to believe that he was murdered by monks of the monastery where he learned martial arts, Other people said he was killed somehow by Chinese gangsters. However the truth about his death was a result of his extreme physical exercises. Entity that came dialogue: Master Ruanel. Interlocutor: Now, I’d like to ask you a question that many people have asked me, I mean to the mysterious death of Bruce Lee, the famous Kung fu Master and a remarkable movie actor of martial arts. Ruanel: Bruce Lee had cerebral problems. Besides, he experimented with electric machines which were deteriorating his mental decoder. Interlocutor: Do you mean electric shocks? Ruanel: Yes, and to him it was a very common practice. Interlocutor: But which was the purpose? Ruanel: To have more control on himself. He even hit electrified iron plates with his fists, with his elbows, resisting more and more the pain and that was affecting his brain. 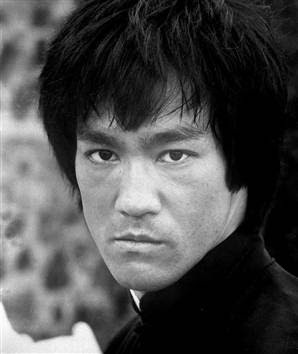 Interlocutor: Did Bruce Lee know what these practices were provoking damage in his brain? Ruanel: No, he didn't know it. He also took anabolic steroids. Interlocutor: But concretely what was the cause of his death? I mean to the technical name. Ruanel: Concretely, he died of embolism. Interlocutor: Then, all those things that were said about the Chinese Mafia are nonsense? Ruanel: Correct, the Chinese Mafia didn't have anything to do with his death. Interlocutor: Am I wrong if I say that Bruce Lee had his ego bigger than a house? Ruanel: Yes, obviously. Notice that he won all the combats. Each combat was a matter of life or death to him. In one occasion he accepted the challenge of a champion in China who bet that he wasn’t able to beat him within a minute and Bruce did it in 59 seconds. He was truly invincible. Besides, he also created his own style of fight. Interlocutor: Definitely, then, and to conclude with the topic, his death was caused by a blockage of a blood vessel in his brain, fundamentally due to his practice based on electric shocks. This entry was posted at Saturday, September 12, 2009 and is filed under Who are they? . You can follow any responses to this entry through the .